enclosed with a cap. It does not contain alcohol, dyes, preservatives or any supplements. 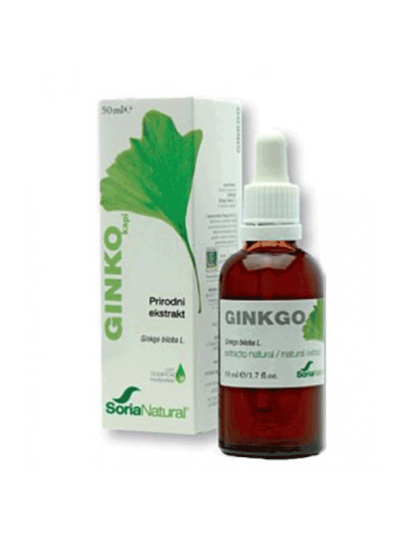 It is considered a natural remedy for cerebral circulation disorders. Originally from China and Japan, it improves memory because it improves brain circulation on the basis of active sources (terpentine and flavonoids) that have antioxidant activity and, like natural "cleansers", reduces the amount of harmful free radicals, substances responsible for the aging of brain cells and the nervous system. Adults: It is advised to take an effective daily dose of 1 ml (approximately 25 drops) three times a day diluted in water. Effective daily dosage is the average amount of standardized active ingredients that need to be taken every day to make it feel better.